In the final budget before the federal election, Justin Trudeau’s Liberal government is pledging an investment of up to $1.7 billion CAD over 13 years to provide all Canadians access to high-speed internet, bridging the bandwidth gap between rural and urban communities. Budget 2019, which was announced on March 19th and titled “Investing in the Middle Class,” expects that 100 percent of homes will have access to at least 50Mbps download speeds and 10Mbps upload speeds by 2030. The government added that with the current programs, it expects 95 percent of homes will have access to these speeds by 2026. The $1.7 billion will begin in 2019-20, first to establish a Universal Broadband Fund that will “focus on extending ‘backbone’ infrastructure to underserved communities.” Of that amount, the government intends to add money to the ‘Connect to Innovate’ program that was announced in 2016 to secure a low-latency Low Earth Orbit satellite capacity. The process to secure the Low Earth Orbit satellite capacity will be launched in spring 2019. The government did not announce a timeframe for when the Universal Broadband Fund will be launched, nor did it announce a timeframe for when it will add more money to the Connect to Innovate fund. This new “coordinated plan” will help the government deliver about $5-6 billion in new investments over the next 10 years. These new funds will be supported by funding and investment announcements that have been made in the past. It’s important to note that high-speed internet services will help Canadians get access to basic services and in the future will enable smart cities, connected cars and e-health services. Connectivity also ensures small and medium-sized businesses are able to function and be profitable. 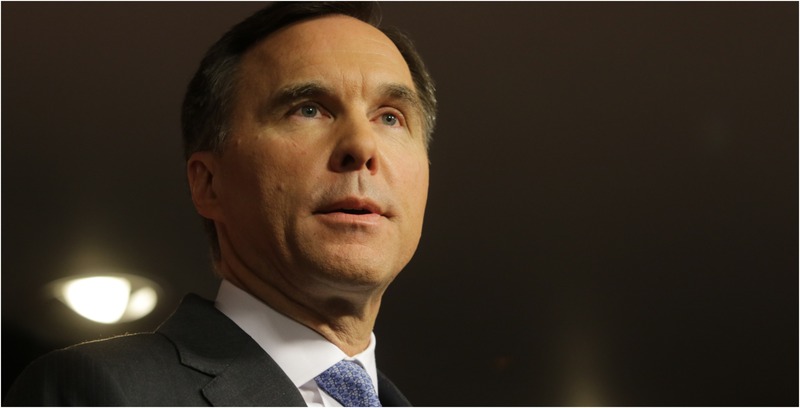 Other parts of the budget emphasized affordable housing, skills and training, pharmacare, seniors, Indigenous reconciliation and the clean economy. New investments to connect homes to high-speed internet services will build on the government’s Connect to Innovate program that was launched in 2016. That program invested $500 million and has since approved about 180 projects with further investments of $554 million from the private sector and other orders of government. When this project is completed more than 20,000 kilometres of advanced fibre networks will be implemented across the country. It will leverage the Canadian Radio- television and Telecommunications Commission’s (CRTC) $750 million rural/remote broadband fund announced in December 2016. Details of that fund were revealed in September 2018. The federal government will also leverage the Accelerated Investment Incentive that was introduced in the 2018 Fall Economic Statement. The program was announced to “encourage greater investments in rural high-speed internet from the private sector,” and it pledged $1 billion worth of private sector. As part of the Accelerated Investment Incentive, telecom companies like Telus and regional-player Xplornet have invested in expanding their broadband internet services. Part of these investments have been made to get ready for 5G network technology. The government has also made it clear these goals can’t be achieved with the continuous efforts of working with provincial counterparts. In October 2018, Innovation, Science and Economic Minister Navdeep Bains and his provincial and territorial counterparts met and agreed to make broadband a priority for all Canadians. At the time, the ministers recognized that high-speed internet service was critical for businesses to grow and compete. The provinces of Nova Scotia and British Columbia have announced investments of $193 million and $50 million, respectively, in order to expand high-speed internet services.